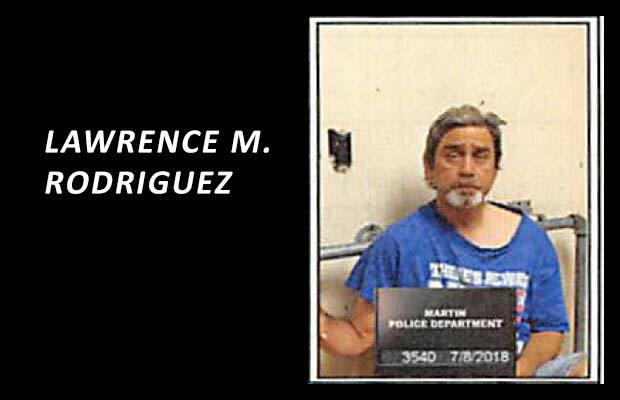 Martin, Tenn.—A man who beat a woman and threatened her with a machete was arrested by Martin Police on a charge of aggravated assault. Lawrence Rodriguez, age 49, was arrested around midnight Saturday night after a verbal altercation became violent. Police were called to 320 Elm St., Apt. A, and found the victim with a swollen eye, a lump above her eye, busted lip and laceration on her thumb. She told officers that Rodriquez was intoxicated and hit her on the head with a cooking pan, hit her in the mouth, bit her thumb and threatened her with the machete. Rodriquez told officers she had hit him multiple times, although the police report states there were no obvious signs that he had been hit.